Shooting is a procedure to discharge the firearms or any protective weapon such as bows or archery. Shooting is a fun. In modern time shooting can be a competitive game. There are many competitions are held in the whole country. Firing with hunting is more fun to a hunter. Many of the hunting processes are done with gun, rifle, shotgun etc. Are you a new hunter or professional hunter? In both cases handle the firearms with very careful. A proper and compatible safety rules must be maintained by all shooting associates. Today we will share top 10 shooting s﻿﻿﻿﻿﻿afe﻿﻿ty rules that you must know. Read on. Shooting safety rules are proposed to keep away from any accidents or injuries. The purpose of making rules is to m﻿﻿ini﻿﻿mize the accidental death, wound or damage caused by improper control, storage or management of firearm. So, experts create some rules of shooting, if every shooter or a hunter follows the rules & regulations properly, that unwanted death or injury will be eliminated. 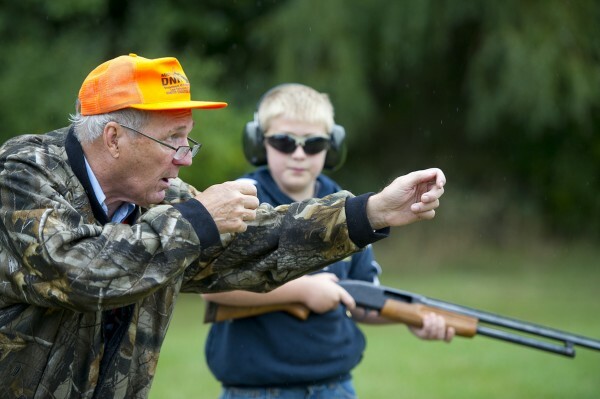 ​Here we are discussing top 10 shooting safety tips that you must follow. Each time treat the gun as it is loaded. The point of the firearm is treated with respect because the muzzle is responsible for the death or any great harm. Use proper ammunition for your gun; it is a serious responsibility of a shooter. Improper use of ammunition can destroy the gun and can cause fatal injury or death. Always keep maintaining the instructional manual's rule that comes with each gun. Every time make sure your gun has been double checked. You must build a habit of opening the chamber and confirm the barrels are clear, even you know it is empty! This rule is one of the most primary rules of shooting. Always point the muzzle in a safe direction. Now the question is what do you mean by safe direction? A safe direction means the gun is pointed so that, even if you shoot accidentally it would not cause any injury. How could you measure which one is the safest direction? Actually, safe direction can change according to the situation, place. You need to practice to understand which way is the safe direction. When all the checking is done, you are finally ready to fire then load the gun. And it's the golden rule of s﻿hooting. The only unloaded gun is the safest gun for a hunter, shooter or anyone who use a gun. Always be sure of your target before trigging the gun. Knowing what is behind the gun trigger is an essential measure to shooting safety rules and regulations. The trigger should never be pulled until you have no doubt about your target confidently. Never rely on your gun's safety. If you do not want to shoot anyone or anything, don't point a gun. It's a professional rule that you know the gun is unloaded and no chance to a bullet comes out, yet through don't point a gun. And also keep your finger off until the target fixed. Additionally, you don't point gun yourself also. Put the gun down arrow while it has no use. Every gun users should know the mechanical terms and conditions very well. Also, need to know handling characters to the proper use of this. ​Muzzle: It's the front part of the gun. The muzzle is the opening part of a gun. The Breech: Normally we can say it is the back part of the firearm. In the early period of a gun, the gun loaded system has limitations. Gun can be loaded only through the muzzle and they were known as muzzle loading guns. Later on, in modern technology gun could be loaded through the breech, those guns are known as a breech-loading gun. The Trigger: This is one of the main components of a firearm. Through this part, a gun can perform firing. The Hammer: The hammer is such section it makes contact with the bullet primer to ignite the powder and propel the bullet out of the muzzle. Always be careful about the obstructions. If you feel, any obstacles while firing immediately check the barrel and clear with a removing rod. Make sure when the cleaning process is performing gun is unloaded. Most of the firing or shooting take places outside, there is so many dust, the wind, and sun ray and so on. So, gunman should have to wear an eye shield to protect the eye from damage. Also, need an ear protection; many guns create heavy sound when firing occurs. Eye & ear shield can work like a shield on your eye& ear as well. Every moment in shooting the area surround you need special awareness. Always keep on an eye, what your fellow shooters do. Many of your team partners new in shooting range, they even do not know what to do or not? Every time have a quick look around you and mark what and how your fellow shooters shooting, it takes only a few minutes but it will save you from massive danger, even life too. In the above writing, we have discussed only basic shooting safety rules. Safe and sound shooting is the responsibility of everyone who associates with the shooting range. Gun or any firearms can be dangerous in the wrong uses. Don't be arrogant about firearms. Maintain the proper safety rules of shooting; be safe and sound with your family and friends.